© 2012 by Sarah Harris; all rights reserved; content may not be copied, rewritten, or republished without authors written permission. Paving your driveway is one of the best home improvement projects you can undertake, and it is also one of the most labor intensive. A well-paved driveway gives your home a nice neat look, and can make for an opportunity for attractive landscaping as well as increasing the value of your house, but it wont be easy. There are several steps involved, and they must be completed thoroughly, in order, and with the right tools. Follow these tips to ensure your driveway paving project goes smoothly. Which materials you choose to pave your driveway with will depend on a number of factors. Some may be more in line with your aesthetic tastes, while others could be a concern for more durability and weather-resistance. Concrete paving is relatively easy to do on your own, but can be prone to cracking and crumbling, especially if its not done just right, which is largely dependent on your local weather conditions. Asphalt is stronger and more flexible than concrete, but the hot tar-like materials involved are best handled by professionals. 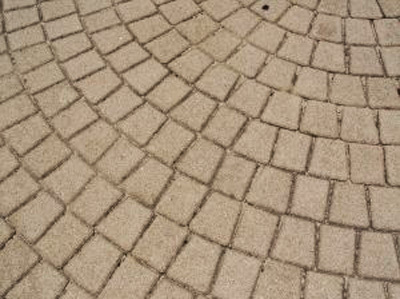 Block pavers are attractive and reliable, but require extreme care and precision to stay straight and avoid cracking. There are ups and down to every technique—find the one that works best for you and be sure to reference your local building code. One of the first steps in paving your driveway is going to be digging up your old one. This step is going to be hard work, but dont skimp on it. If youre excavating a dirt driveway, you can probably get the job done with shovels and muscle, but you should do yourself a favor and rent a small front end loader. But, if you need to break up concrete, look into renting a jackhammer or other excavation equipment. Dig up to a foot the whole way, going a little lower towards the bottom for rain drainage (once again, refer to your building code). How deep should you go? It depends on what material you are going to finish with; each has its own considerations. Lay Down a Solid Foundation. Your driveway needs a compact, level foundation to keep from cracking and caving in. Use a plate compactor to compact the soil in your driveway-to-be, and lay down several layers of gravel. Each gravel layer should be about 3 inches thick, and should be compacted to the point when you can walk on them without making footprints. Wet the gravel layers with your hose to reduce friction and ensure solid compacting. If youre using block pavers, buy more than you think youll need to cover the driveway. Measure the dimensions to find the total area of your driveway, and buy enough pavers for a driveway 10% bigger. Its important to make sure you have enough material, especially when you end up cutting blocks to fit into the edges. It may seem like wasted money at the time, but youll likely end up using everything. Besides, having extras left over is a good thing in case you ever need to replace any. This job involves not only a lot of hard manual labor, but a lot of heavy equipment handling and some potentially dangerous tools. Consider hiring a professional paver if you dont feel confident with the equipment. If your foot gets caught under a jackhammer or plate compactor, or you scald yourself with hot asphalt, you wont be paving anything for a long time. Read and follow safety precautions on all tools and equipment before starting your project. There are many more techniques depending on what you want the end result to be. Do you have any tips of your own? Share them with our readers in the comment section below.